Home Lifestyle WHY ARE PEOPLE STILL SUPPORTING D&G? WHY ARE PEOPLE STILL SUPPORTING D&G? To many major fashion designers, there’s no relevance in the fact that Christian Siriano has tripled his business by including plus-sizes or that Savage X Fenty has received worldwide acclaim for featuring a diverse cast of models on the runway. 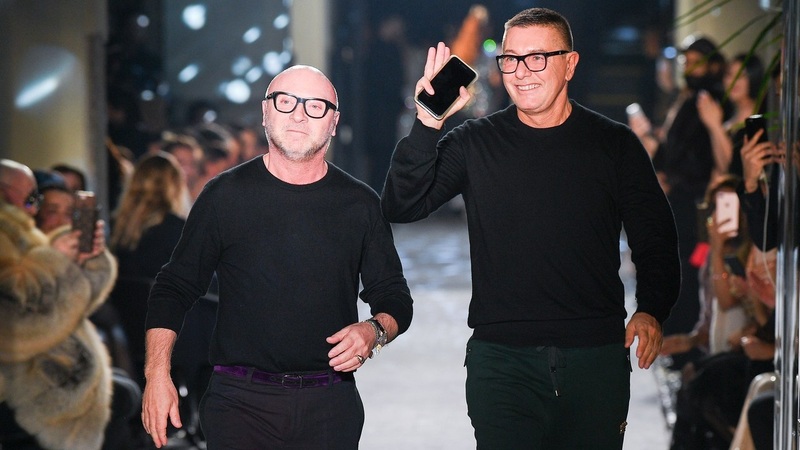 When it comes to brands like Dolce & Gabbana, time and time again, those in charge make it undoubtedly clear that fashion belongs to an elite group of thin, heterosexual, cisgender, rich, white men and women. And they have no interest in changing the status quo. From spreading the message that thin is beautiful and fat is deadly, to saying queer couples who adopt are building “synthetic” families, to attacking young famous women online by demeaning their looks, Domenico Dolce and Stefano Gabbana seem to have no problem spewing hate. But even further, the issue lies with the consumers who give these two men permission to do so. And yet, I wasn’t shocked when I received the Business of Fashion report that announced the cancellation and unpacked the ensuing drama. I only had one question running through my head: Why are we still supporting Dolce & Gabbana? Dolce & Gabbana has a long history of courting controversy. In April of 2017, the brand released a playful graffiti-style sneaker bearing the phrase “thin and beautiful.” When critics argued it promoted the wrong message, Stefano clapped back saying, “When idiocy distorts reality!!! incredibile!!! !